Back in May, Brighton & Hove City Council announced a competition to design a feature for the centre of the Seven Dials roundabout. Long before the specifications were released, it was generally hoped that the prolific Regency architect, Amon Henry Wilds, would somehow be commemorated. The Council did actually mention Wilds in its literature which is certainly in tune with local residents’ views. Wilds was responsible for, amongst many other things, Montpelier Crescent, Villas and Road nearby. His trademark features were shell motifs above windows and Ammonite capitals (fossil-inspired column tops). He is thought to have used the Ammonite design as a pun on his first name. Although the Council has a winner in mind, it is understandably not yet keen to publicise the matter as £30,000 must first be raised privately to actually pay for the project. Three designs made it into the final from Jon Mills, Myles Dacre, and Guy Stevens and Alyosha Moeran. Mills is a Preston Park-based metalwork artist who has created many pieces both locally and nationally; Dacre is a Seven Dials-based artist who works mostly in metal and stone; and Stevens and Moeran are stone masons and carvers who create large icon pieces, often involving members of the local community. Below the artwork, the structure will consist of three circular tiers. The first will be an over-run area for vehicles; the second a concrete plinth incorporating uplights; and the third a smaller plinth. The finished monument should be durable, maintenance-free, easily seen and, indeed, attractive from the seven roads that approach the roundabout (Dyke Road twice, Prestonville Road, Chatham Place, Buckingham Place, Vernon Terrace and Goldmsid Road). Seven Dials was one of the country’s first roundabouts and today seems one of the busiest! Thankfully the planned works will also be addressing safety concerns. It’s a strange twist that the creator of some of Brighton’s greatest monuments – the Victoria Fountain, the archway at St Nicholas Churchyard, the tomb of Amon Wilds Sr – is to receive his own monument. The continued love of his buildings may well be the greatest gift that he could have asked for. After all, The Latin inscription on Sir Christopher Wren’s tomb in St. Paul’s translates to “Reader, if you seek his monument, look around you”. Nevertheless, the formal recognition of Wilds’ work is fantastic so I congratulate those involved and hope to hear the official announcement of the winner soon. Nikolaus Pevsner’s section on Brighton in his 1965 guide to the buildings of Sussex is revered to this day. 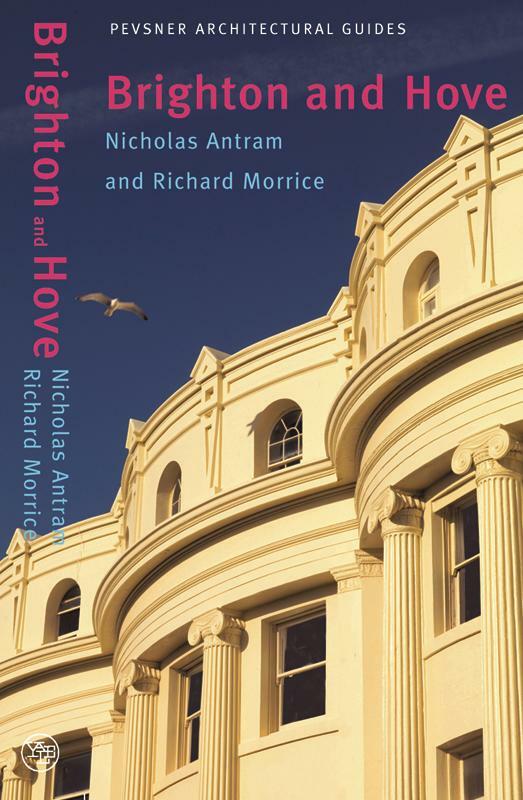 Now taking the form of an updated volume of its own, Brighton and Hove by Nicholas Antram and Richard Morrice has just hit the bookshop shelves. Pevsner was born in Germany in 1902 but moved to England in 1933 due to the difficulties that he faced as a Jew under Hitler’s regime. He began work on his county by county guide to the buildings of England in 1945 and ended up writing 32 of the books himself and 10 with collaborators. The series was later extended to Scotland, Wales and Ireland. Brighton and Hove’s typical cover photograph of Brunswick Square and a herring gull suggest the mundane. The picture’s, well, a red herring really as inside, efforts have clearly been made to offer innovative photographs of the buildings. This has caused considerable frustration for me as several of the ideas that I have for a book of my own are no longer original! Standard shots of Embassy Court and the Clock Tower, for example, have been avoided and new thought-provoking views used instead. There is just the right blend, however, between the familiar and the unusual to ensure that both experienced local historian and architectural newcomer are kept happy. I was especially pleased to see included three of my favourite historic plans for Brighton that never came to fruition. The first shows the Anthaeum, a giant glass dome, in its intended location at the top of Oriental Place. The second depicts Adelaide Crescent as it was meant to be – a deep enclosed arc with no Palmeira Square above. Adelaide Crescent was modified and the Anthaeum was built there instead (but it collapsed in 1833 almost instantly!). The third shows Sir James Knowles’ vision for the West Brighton Estate of First, Second, Grand, Third and Fourth Avenues (now technically in Hove). There were to be four gargantuan yellow-brick structures; two either side of Grand Avenue. Of the two that were actually built, one was bombed during the Second World War leaving us with just King’s House, Brighton & Hove City Council’s headquarters. Brighton and Hove’s clear descriptions, useful suggested walks and handy size make it a practical tool, not just something for the coffee table. My one criticism is the use of the term "Brighton Pier". It’s the "Palace Pier"! Quite unforgivable. From 7th October, Brighton Museum & Art Gallery will have an exciting new permanent exhibit – all the way from Brisbane, Australia. Sea-bathing had become extremely popular by the end of the nineteenth century and two new professions emerged – ‘bathing’ (the immersion of men by men) and ‘dipping’ (the immersion of women by women). The sexes were required to bathe separately and, indeed, this restriction remained in place in Brighton until the 1930s. Martha Gunn was ‘queen’ of the dippers and friend of the Prince of Wales, as was her male equivalent, John ‘Smoaker’ Miles. 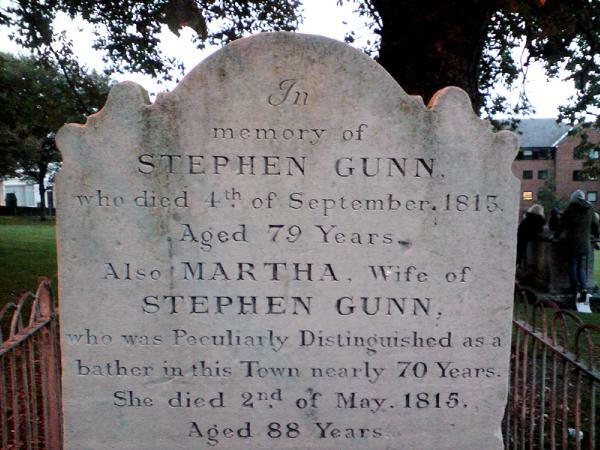 She was born in 1726, retired in 1814 and died in 1815. Having spent most of her life working on Brighton beach, it’s no surprise that she set off for warmer climates; well, her painting that is. An original oil painting of Martha Gunn has just been donated to the people of Brighton & Hove by Chris Gunn, a direct descendant. The painting left Brighton in 1949 when Chris’ family moved to Uganda where it hung in a mud house. It then travelled to South Africa, Australia, back to Africa and then, in 1982, to Australia again! A private bequest was made available to cover transport and import costs, and the painting is now back by the sea in Brighton, its natural home. It is thought that the painting dates from the 1780s but unfortunately the identity of the artist is not known. 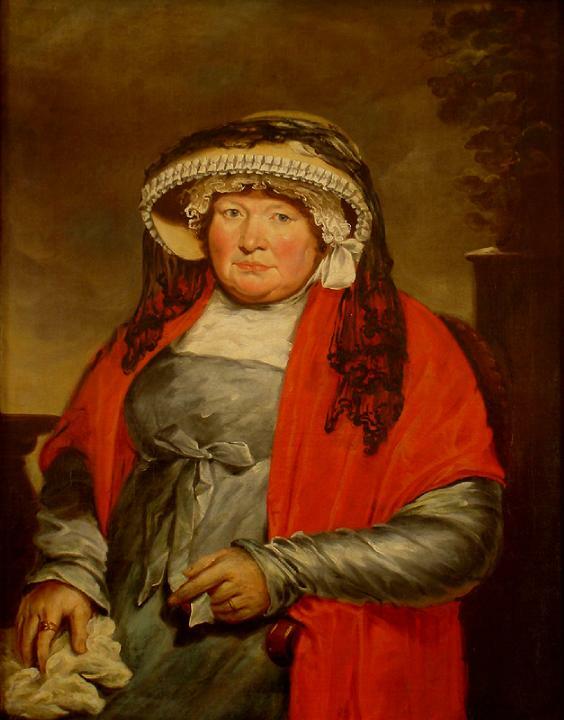 It shows a rather plump Martha wearing a hat, several layers of clothing and a clearly-displayed wedding ring. Chris recalls the painting hanging in the family flat in Eastern Terrace during the Second World War. Since its return, a press cutting has been discovered which suggests that it was given to Chris’ great-grandfather. Martha Gunn was buried in St. Nicholas Churchyard as was another interesting character with a bathing connection called Sake Dene Mahomed, the proprietor of Mahomed’s Baths. Other graves include those of Captain Nicholas Tettersell (rescuer of King Charles II) and Amon Wilds (the great Regency architect/builder). As I wrote several months back, this summer saw the rejuvenation of the Churchyard by Brighton & Hove City Council and local residents. Martha’s painting will be hung on Monday 6th October and will be on display to the public the following day. Admission to the centrally-located Museum & Art Gallery is free so there is simply no excuse for not taking a dip.